Have you ever thought about making carnival treats like snow cones at home? I’m sure you’d love to make snow cone at home which requires perfectly fluffy shaved ice. 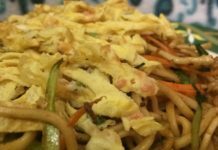 And you’d love it even more if you have little ones to make it with who enjoy munching them. So what about owing a shaved ice machine? Imagine this! It is very hot outside and you’re craving for a snow cone with sweet condiments like syrups. But the main problem here is you’re feeling too lazy to step outside and get yourself a shaved ice or a snow cone. Don’t you wish for a machine that could shave ice and make a snow cone or may be a slushie? That would be amazing, wouldn’t it? For your convenience, we have brought 5 Best Shaved Ice Machine capable of making best snow cones or other carnival treats in no time. 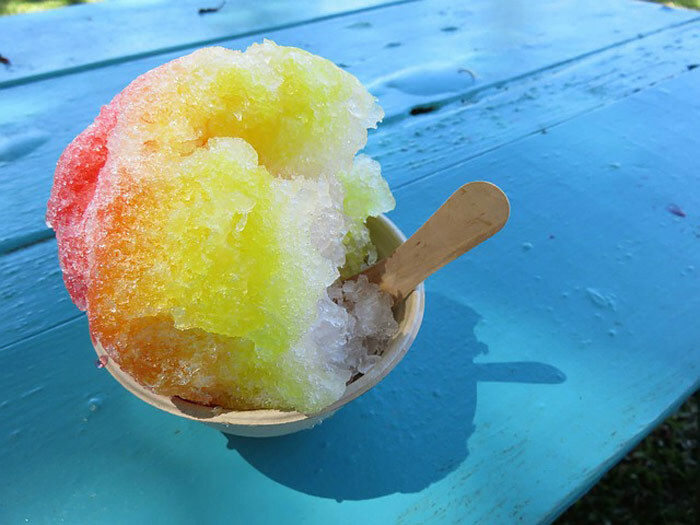 Shaved ice is one of many things that we can enjoy in both summer and winter. These personal ice shaver machines are perfect for small gatherings, parties or daily use as you know snow cones can never go wrong for any special occasion. We all know how popular Disney’s animated movie Frozen is among children and grownups as well. I think you probably know why I’m talking about this movie. It is because this product is really inspired with one of this movie’s loved character, Olaf. DFR-613 Olaf Snow Cone Maker is from Disney. That cute and sweet snow man can now be in your home making your kid’s favorite flavored snow cone. This snow colored snow cone maker is the best option if you’re looking for something small in size as it is only 13 x 11 x 18.5 inch big. This means it can easily fit in if you’ve small space for storage and is portable as well. Talking about its performance, this machine works well. Easy-to-use DFR-613 does its work with just one touch. All it needs is one push on its head after feeding ice in it and it gives you finely shaved ice. This snow cone maker delivers smooth fluffy ice when used ice blocks “frozen” in the mold that comes with it. But if you want some more like a coarse snow cone, you can use regular ice cubes. If you’re wondering where the shaved ice goes, you should try pulling Olaf’s belly. 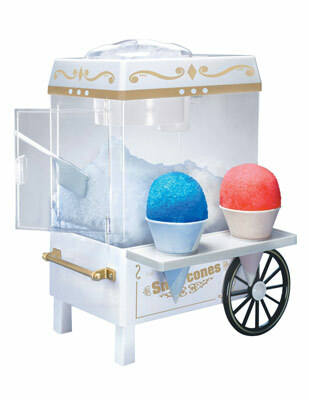 It is a removable panel which gives you access to the snow cone holder which is removable. The one good reason among many reasons to buy this amazing shaved ice maker is that you don’t have to spend fortune on it. It comes under an extremely affordable price tag. What more does a parent want than having a real good time with their kids? 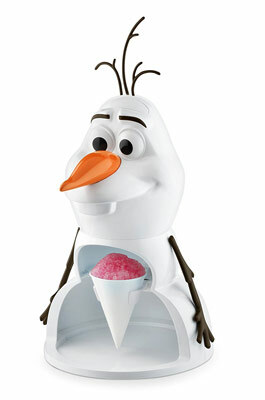 This Frozen character shaved ice maker can help you create some beautiful memories with your kids. If you want to use regular ice cubes instead of ice molds, Avalanche Ice Shaver by Victorio is the right one for you. Victorio Ice Shaver VKP1100 does not require any special ice molds to make the best shaved ice. 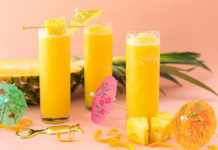 This product is good enough to make you other frozen treats, slushies and other party drinks. This ice shaver is suitable for small parties and gatherings. One trait of this product is that it is quite an easy-to-use machine. The ice cubes go into the hopper and to shave the ice, a firm and gentle push is required on the hopper’s lid. Avalanche Ice Shaver is designed keeping safety in mind. This ice shaver will not run until the lid is left open. Fancy Avalanche Ice Shaver which is 7 x 7 x 9.5 inches in size adds elegance to kitchen counter. VKP1100 is provided with stainless steel blades which are adjustable and replaceable. 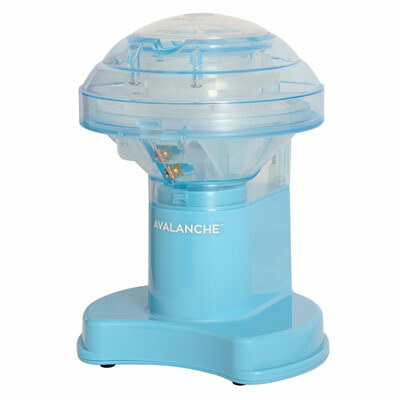 Avalanche Ice Shaver is made up of BPA free plastic making it a safe product for daily use. This product has non skid feet which keeps it in place during use. If you’re planning for your kid’s sleepover, birthday parties or gatherings, this product will add fun and excitement to it with snow cones. When it comes to cleaning, VKP1100 is easy to deal with. You can make perfect slushies or snow cones and add your favorite syrups to add color and sweetness to them. This amazing machine from Cuisinart can create your favorite carnival treat within a minute. This fast and effortless machine is kid friendly and is great for parties too. 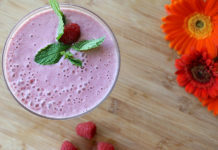 It can create sweet and refreshing treats like snow cone, slushies, frozen lemonades and more. SCM-10 is fast that it can crush enough ice to make 4-5 cones in a minute. 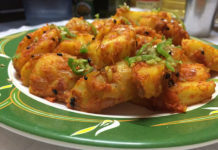 Cuisinart has always delivered products of high quality within affordable price range. And it has done it once again. 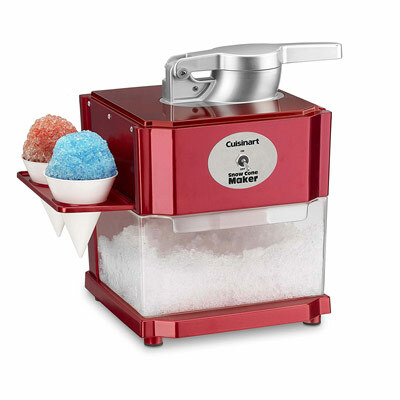 Cuisinart SCM-10 Snow Cone maker comes at a reasonable price. The performance of this ice shaving machine is not to be doubted. The things to notice about this shaved ice maker at first glance are its elegant color and size. 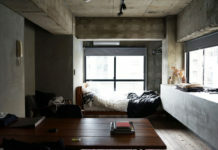 The red color makes it attractive and can surely increase the beauty of the place you store it. It measures to be 12.5 x 11.5 x 13.88 inches in size which can easily be stored in your kitchen. The compact SCM-10 Snow Cone Maker has two shelves on its two sides for storing your paper cones. The best thing about this machine is that it is easy to operate. Instead of complicated control system, it has an easy toggle switch to turn it on and off. It has a handle on its top which is there to push the ice towards the stainless steel blades. 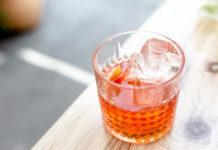 The plus point about SCM-10 is that all the parts that come in contact to edible goods, in this case- ice, are BPA free. Make snow cones, add your favorite syrups or sweet condiments and take the pleasure of carnival treats with your family and friends. 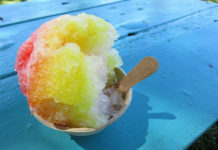 Here comes one of the most loved shaved ice makers from Hawaiin electronic. 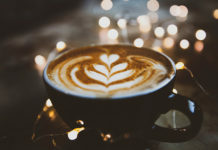 S900A Electric Shaved Ice Machine is great for not only making shaved ice but also for making margaritas, slushies, snow cones and other party drinks. S900 is just 6.5″ x 8″ x 14″(W x D x H) in size, so it is easy to store it in your kitchen cupboards or in your kitchen counter without making any mess. This kid-friendly ice shaver machine is easy to operate— feed ice in this machine, plug the machine in an electric outlet and gentle pressing on top of the motor unit—giving fine and fluffy snow. This exceptional shaved ice machine has two ice molds used for making round blocks of ice. But you can use any ice for your snow cones and other sweet treats. You can also choose the texture of your shaved ice, smoother and crunchier, just by adjusting the position of blade. This shaved ice machine is perfect for personal use but not for commercial use. Though this machine is for home use, it can produce snow of professional quality. 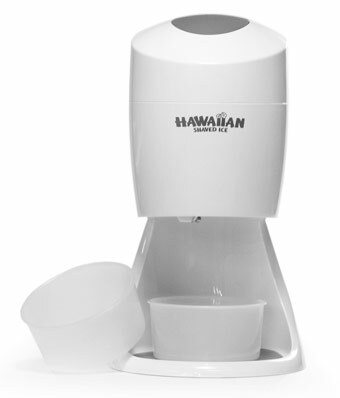 Attractively designed Hawaiin S900A Electric Shaved Ice Machine is a durable and reliable home tool for celebrations and gatherings. Cleaning this machine is one easier thing to do. But the thing that needs to be remembering while cleaning is to avoid contact with the blades and prevent from hurting yourself. This machine can also be disassembled and stored. Making snow cones and adding sweeteners is a very fun way of celebrating holidays with your family. If you’re making snow cones, you will also want to have cones, straws and syrups. This machine is also comes in a different package— party package— including the earlier mentioned snow cone supplies. Our number one pick is Nostalgia SCM502. It’s the perfect make shaved ice maker. SCM502 is one of the vintage collection snow cone makers. 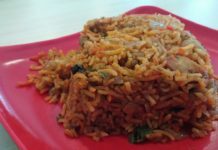 The manufactures have successfully given it a nostalgic carnival touch with the wheels and the old-fashioned styled container. 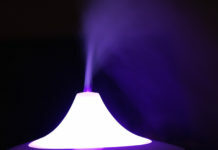 It is undoubtedly the best countertop snow maker to make fun experiences and bring your child’s party to life. In this snow cone maker, the ice cubes goes on top of the container. The stainless steel cutting blades shaves the ice into fluffy snow and deposits it in the transparent container. This easy to use snow cone maker has built-in safety switch. With this safety feature, you can rest assure and let your kids make sweet snowy treats. This shaved ice maker provides you convenience as it has a side shelf for holding ice cones. Storing SCM502 Snow Cone Maker is quite an easy task with its 8″ x 12″ x 15.25″(L x W x H) size. It is only 6 pounds in weight and has 40.75″ long cord making it a perfect portable snow cone maker for birthday parties, festivals and every happy occasion. You can make number of delicious carnival treats with SCM502 Snow Cone Maker. Nostalgia SCM502 Snow Cone Maker delivers excellent performance that will win your heart. This perfect shaved ice maker come at the most fair and reasonable price. These shaved ice machines work just perfectly and produce smooth fluffy snow. You can make your favorite icy treat. 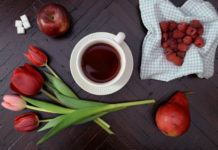 They can be consumed plain or you can go for sweet syrups of other supplements and increase their deliciousness.